You'll be £10.00 closer to your next £10.00 credit when you purchase The Victoria Crosses of the Crimean War. What's this? 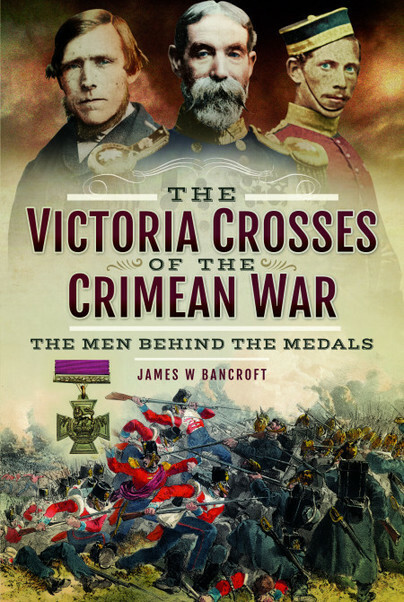 The Crimean War saw the introduction of the Victoria Cross, which was awarded to 111 men. Whilst the history of the Crimean War has been related many times, never before have the stories of those individuals who were awarded the VC been told. In this, the result of four decades of accumulated research, renowned historian James Bancroft describes who the men were, how they gained the Victoria Cross, and what happened to them afterwards. Great attention has been given to checking the correct spelling of the names of people and locations, burial places and new memorials, and dates of awards and promotions. The author has made every effort to contact museums and other establishments to get up-to-date information on the whereabouts of medals and their accessibility. The men recorded here displayed valour and determination resulting in many deeds of exceptional courage which became a regular occurrence in the illustrious annals of the British Army. Among them are heroes who had the guts to put themselves in mortal danger by picking up live shells that could have exploded and blown them apart at any moment, gallant troopers who took part in a cavalry charge that they knew was doomed before it began and they were about to be cut to pieces, and valiant individuals who had the audacity to sneak into unknown territory to take the conflict into the enemy’s back yard and risk capture and ill-treatment. This account of the fascinating lives of these heroes is accompanied with forty-five portraits. James W Bancroft is to be congratulated on such a painstaking and meticulously researched book which is bound to be the definitive book on this campaign.